A reminder that artroom have a very nice exhibition of landscapes in their gallery in Parkgate. A lovely place to visit on these quiet winter weekends. 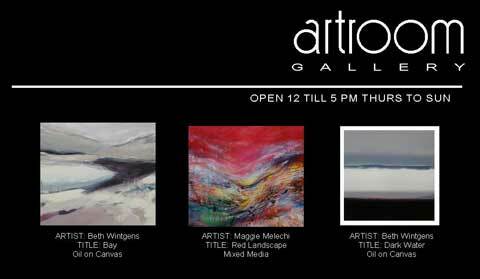 Features Beth Wintgens, Maggi Melechi, Matthew Snowden and Lorna Wilson.